I backed the very first Brydge keyboard on Kickstarter. When it finally arrived, I was impressed. 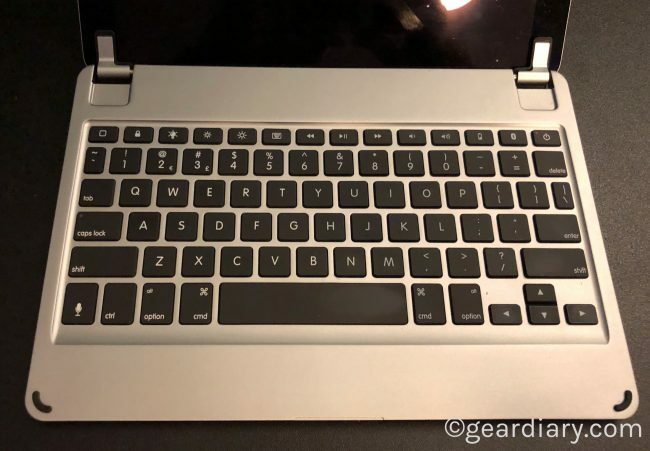 Made from strong aluminum and designed with island keys, it was the closest thing to typing on my Apple Bluetooth keyboard that I have seen. That first Brydge keyboard had Bluetooth speakers built into it. They were a nice touch, but I quickly found that I wasn’t using them. The company took note, and recent keyboards focus on what they were designed for — typing. 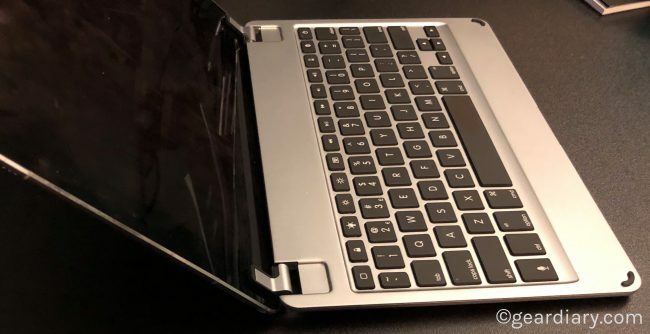 Brydge released a keyboard for the 10.5” iPad Pro, but it wasn’t an overwhelming success. Consumers complained about a variety of issues including keys that were not nearly as responsive as they expected. With Version 2, Brydge 10.5 Bluetooth keyboard the company has addressed the issue. It is impressive. In fact, I’m using it to write this review and, for the first time in a long time, don’t think I’ll need to move to my Mac when the time comes to edit and format this review. Seriously, I’m already a fan! WORK LIKE A PRO. LOOK LIKE A PRO. : The Brydge 10.5 Bluetooth keyboard brings versatility and productivity to your fingertips. 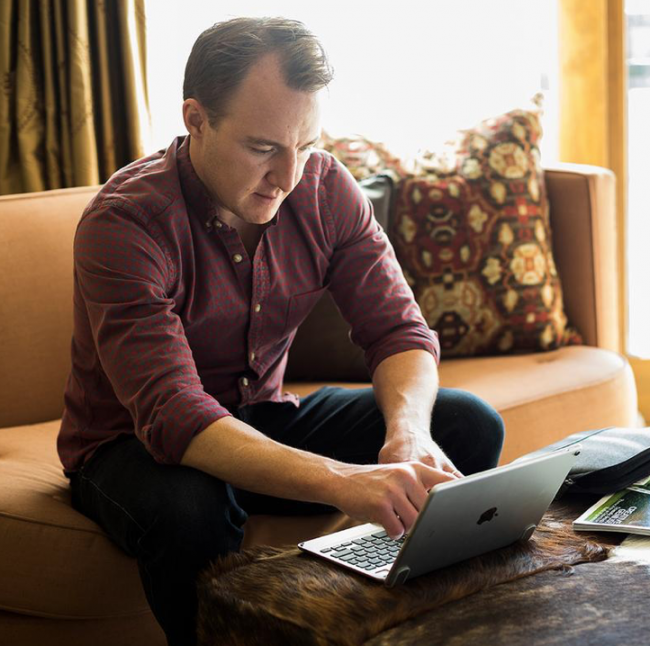 When combined with the 10.5-inch iPad Pro, they create the ultimate in mobile productivity. A perfect balance between tablet and laptop, giving you the power to be mobile and highly productive. Anytime, anywhere. 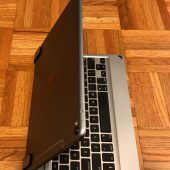 The keyboard was specifically designed for the 10.5” iPad Pro. When the iPad is properly seating in the hinges the sides line up perfectly. 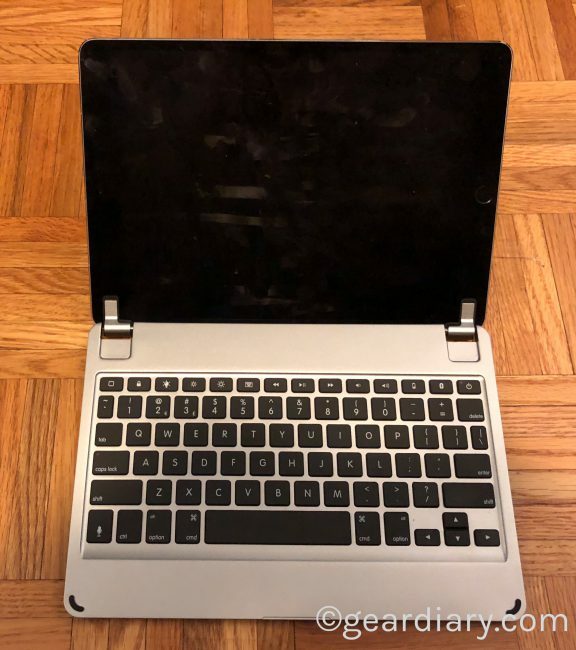 When closed, the iPad and the keyboard combine to make a solid device that not only protects the keyboard keys but also protects the screen. Better still, the keyboard has two small rubber bumpers on the lower left and the lower right that keep the keys from coming into contact it’s the screen. This is a big deal since, as iPad screens get larger they become more vulnerable to damage. 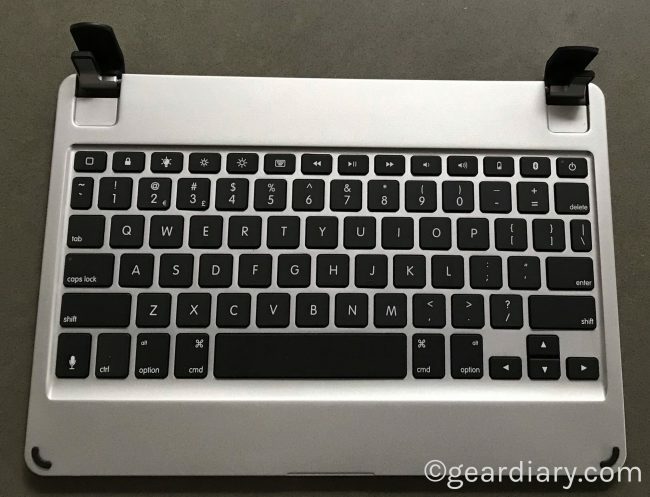 The Brydge keyboard keeps the screen safe when you need to throw your iPad into your bag. 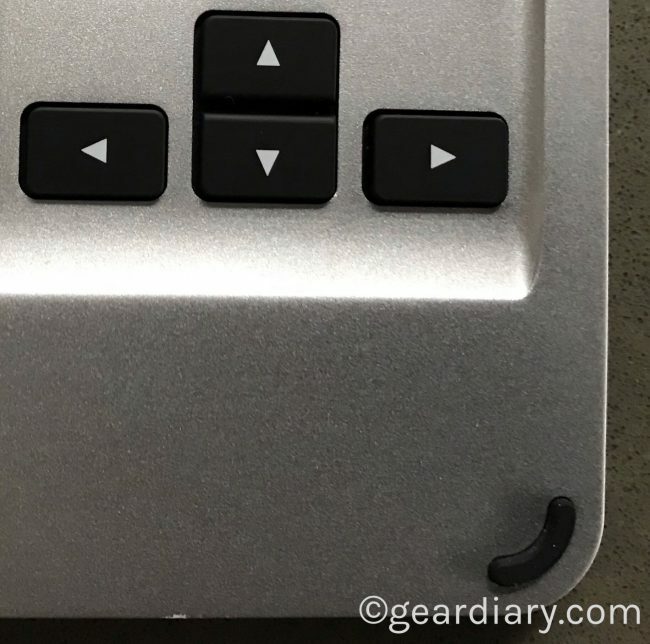 In addition, four rubber feet on the bottom keep the keyboard from slipping when you type. MADE FOR 10.5-INCH IPAD PRO: Everything you can do with your iPad… now do it better. Watch, learn, play, create, and type at full speed. The Brydge 10.5 will give you more from your iPad. Use as a tablet, use as a touchscreen laptop. Set the iPad Pro at the optimal angle and keep your hands free to touch, type, and work faster. Anywhere. Anytime. Make the iPad Pro an even more powerful tool. The keyboard is made from a single piece of aluminum. This keeps the weight down while maintaining the keyboard’s weight and rigidity. The result is a keyboard that looks and feels like the premium product it is. It also means the keyboard maintains a thin design that is ideal for travel. 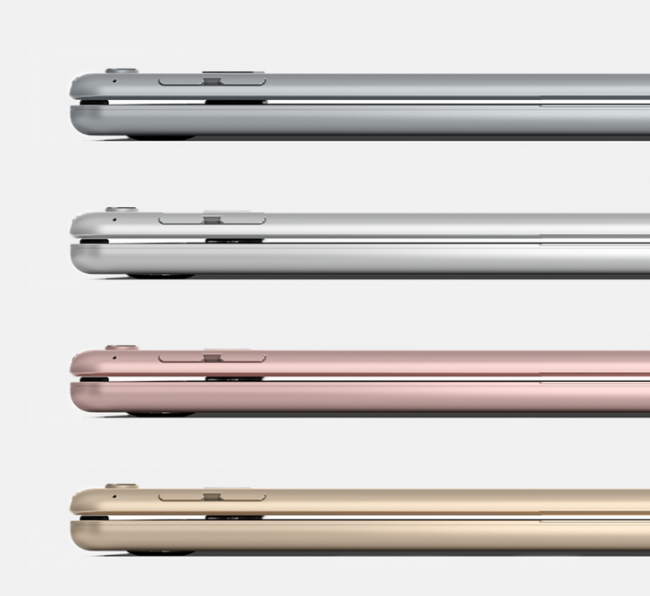 SLIM IS A MATTER OF OPINION: Thin, light, and strong. The Brydge 10.5 combines beauty, strength, and the premium slim design you expect. Designed with the same width and height dimensions as the 10.5-inch iPad Pro, you’ll experience a seamless integration of size, texture, and color. It will create an amazingly lightweight and powerful productivity device. 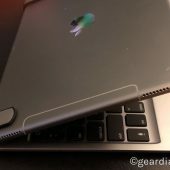 On the product page, Brydge compares the thickness of their offering with one from another of favorite companies, Logitech. The Logitech keyboard case is a great product. I haven’t used yet the version for the 10.5” iPad Pro, but have used versions for previous iPads. There’s no doubt the Brydge offering is thinner but, unlike the keyboard under review, the Logitech version also doubles as a case. That isn’t the case here and makes this comparison a bit weak. Still, if the only thing you are thinking about is the size and weight a keyboard will add to your iPad, the point stands. Let’s explore this last point it bit further. 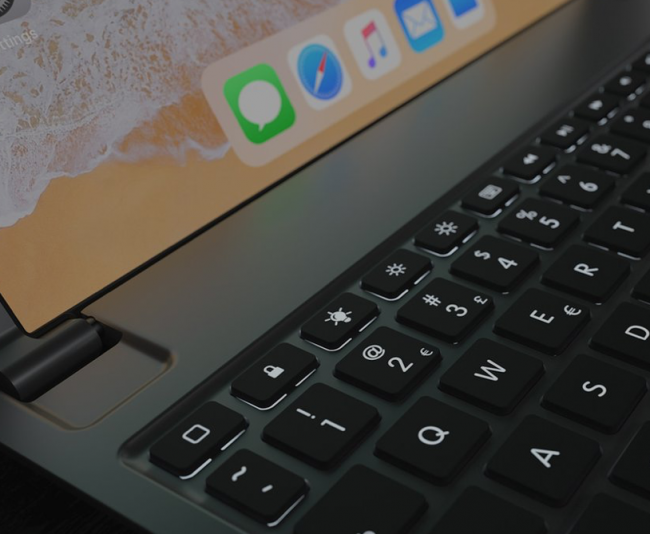 One of the things that make Brydge keyboards stand out is the hinge mechanism that allows the keyboard and iPad to become a single unit. 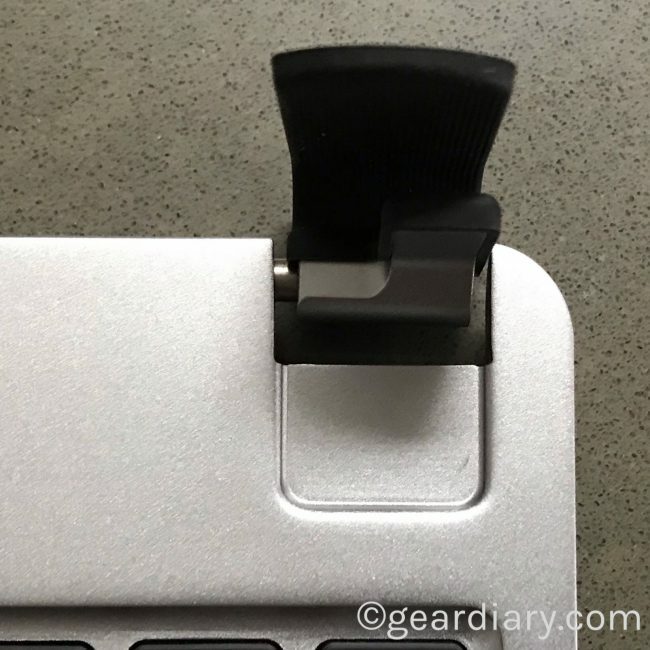 There is a hinge on both the left and right side and each has a soft rubber insert that not only grabs the iPad when inserted but also protects it from coming into direct contact with the iPad’s body and screen. The hinges are strong enough to hold the iPad at any angle you choose yet not so strong that adjusting the angle of the iPad is difficult. You simply move the iPad into the desired position and it stays put. Brydge speaks of this as a positive… and it is. The design is not, however, without its issues. 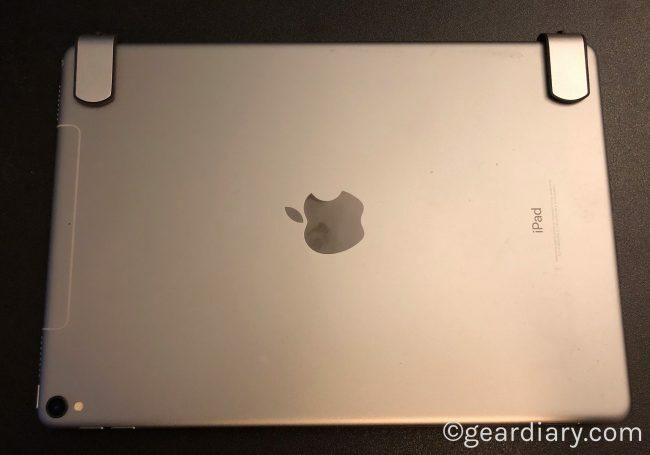 It means you need to pull the iPad out of the hinges whenever you want to use the iPad as a tablet and then reinsert and realign the iPad when you want to begin using the iPad and keyboard again. 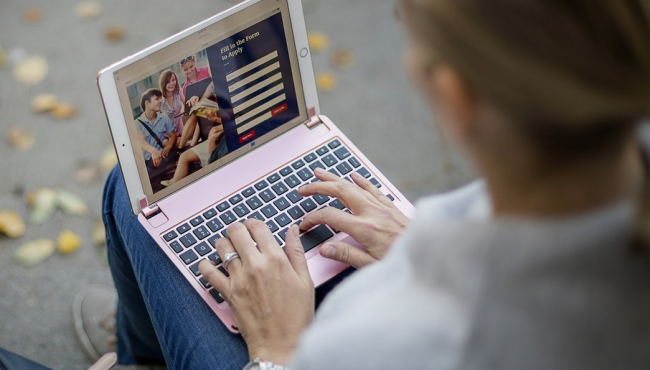 It isn’t difficult but is certainly more of a hassle than if you were, for example, using the ZAGG slim book I previously reviewed. 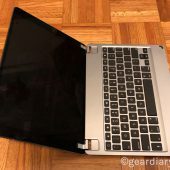 The comparison to the ZAGG slim book raises the second issue I have with the Brydge offering. 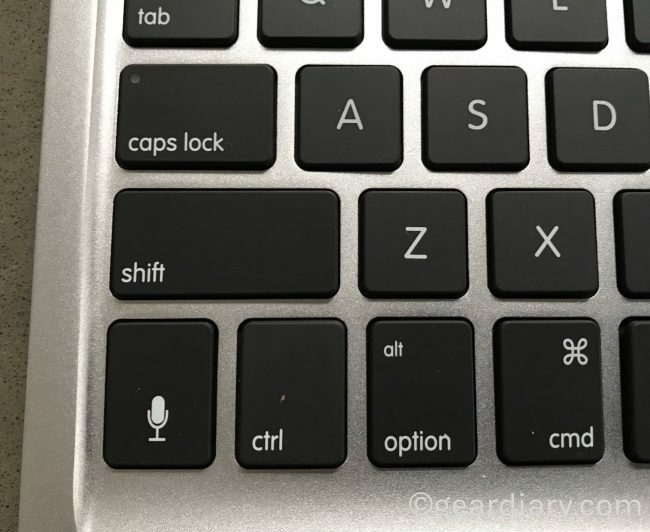 The keyboard offers other features that are also worthy of note. BACKLIT KEYS: LED Backlit keys that provide the ultimate typing experience in low to no light conditions. 3 levels of back light to meet your visibility demands. A feature that comes in very handy when you need it most. The backlighting on the keyboard means you can use the iPad and Brydge no matter where or when you need it. The backlighting has three levels so you can adjust it to the level that is most comfortable. The keyboard is smaller than my Apple Bluetooth keyboard and the keyboard on my MacBook Pro, but the experience is almost as good. Brydge designed the keyboard using island keys that have just 1.2mm of travel. The result is a typing experience that is comfortable, natural and remarkably responsive. And despite the smaller size, the Brydge keyboard has a dedicated row of iOS function keys. 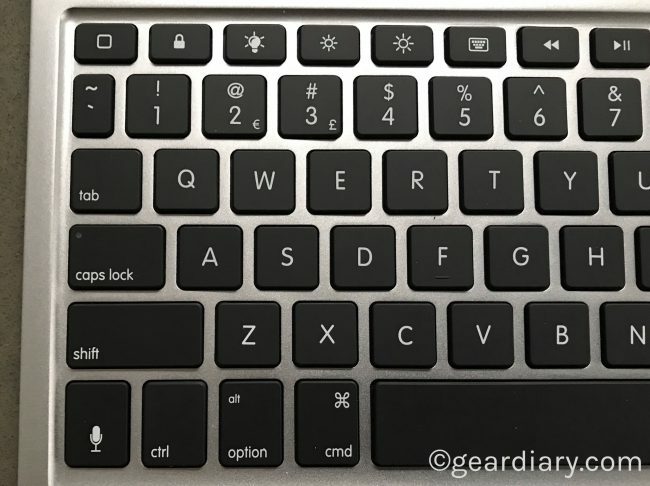 From the keyboard, you can directly access the Home screen, control the screen brightness, turn on and adjust the backlighting, raise or lower the soft keyboard, control the volume, mute the audio. Check the battery level and play/pause/skip/repeat audio tracks. 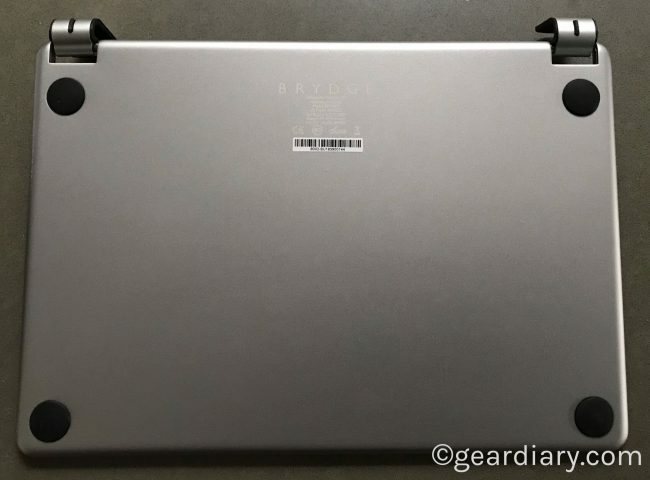 Because the Brydge keyboard doesn’t cover/hide/protect the iPad, the company expect that you will still be able to see the iPad’s elegant metal body. (Hence my recommendation that anyone opting for this keyboard picks up a clear iPad skin.) That is, I suspect, why the keyboard is available in the same colors as the iPad Pro 10.5. 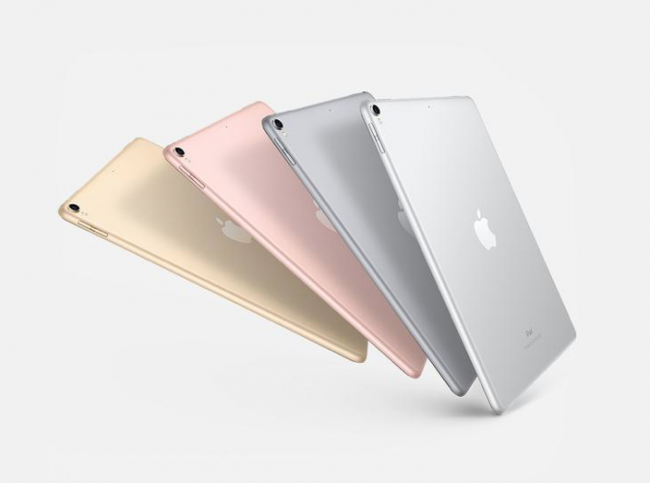 You can get it in silver, space gray, gold or rose gold. 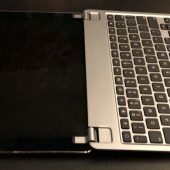 If you choose the color that matches your iPad, you will, whether you opt for a protective skin or not) get an iPad/keyboard combination that looks like they were intended to work together. Dimensions: 9.8” in by 6.8” by 0.27”. 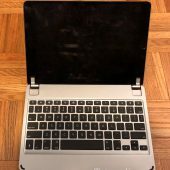 The Brydge Aluminum Keyboard fr iPad Pro 10.5 Series 2 is an impressive keyboard. The design is elegant. The keys are comfortable and responsive. The specialty keys give you easy access to many of the iOS functions one commonly needs. The hinge is easily adjusted while maintaining the angle that is most comfortable. The battery provides up to a year of quality typing on a single charge. And when closed, the keyboard and the iPad look like they were meant to be together. They were. 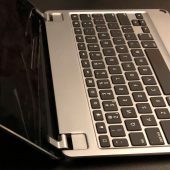 At $129.99, the Brydge keyboard is a bit on the pricey side but, if you want a quality keyboard that will let you be more productive on your iPad than you ever thought possible, you will want to pony up the extra dollars. This keyboard is great, and using it to type this entire review was a pleasure. I just wish the company charged a few dollars more and included back iPad protection too. 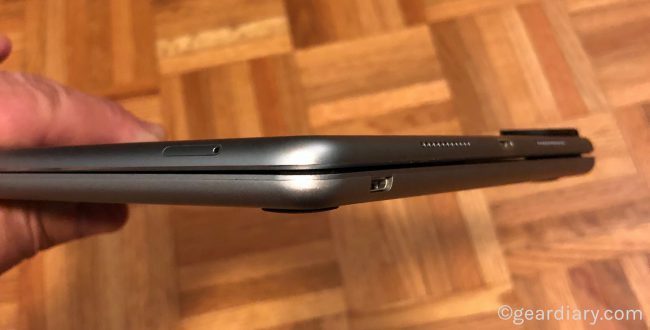 What Needs Improvement: Hinge doesn’t fold all the way back so you can use the iPad in tablet mode (this is apparently coming to future products); Leaves iPad’s back fully exposed; Doesn’t include back protection; Unclear if hinged will maintain their strong grip on the iPad after months of inserting and removing the tablet.